Advances in human genetics and genomics are beginning to move outside the traditional realm of medicine and into the classroom. How will educational officials react when asked to incorporate personalized genomic information into the educational program? This volume bridges the divide between science, education and ethics around the emergent integration of genomics and education. 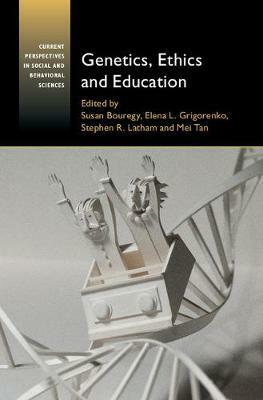 By pairing comprehensive analysis of the issues with primers on the underlying science, the authors put all relevant parties on a level field to facilitate thorough consideration and educated discussion regarding how to move forward in this new era, as well as how best to support the future of education and the future of all students. The volume is unique in bringing together not only scholarly experts but also parents and laypersons. In doing so, it gives voice and understanding to a broad spectrum of disciplines that have a stake in the future of education.